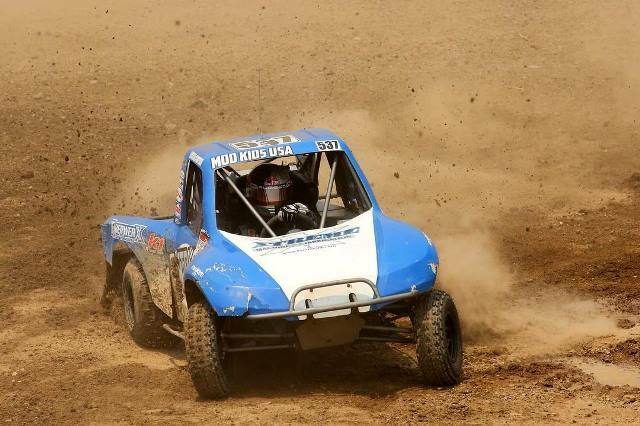 El Cajon, CA 8/09/2018 – Black Rhino Performance athlete Mia Chapman led nearly the entire Modified Kart race during the Lucas Oil Off Road Racing Series events at Wild West Motorsports Park in Sparks, NV. Chapman is in her third year in the class and has been competitive all season. Chapman qualified fourth for the race and started on the pole. After getting a great jump at the wave of the green flag, she began pulling away from the field on the fast and racy circuit. She had upwards of a four-car lead before a mechanical issue took her out of contention. Though the results weren’t what they were after, Chapman was happy with how she ran. Chapman is one of Red Bull’s young drivers and she is showing her stuff this season. She receives additional support from DWT Wheels. She also welcomed a new sponsor this weekend: AiM Racing Data Power. Chapman enjoyed the track. Unlike any other circuit on the Lucas calendar, the circuit features huge elevation changes and extreme high speed. Chapman will be aiming square at the podium as LOORRS next heads to Utah Motorsports Campus in Tooele, UT August 24-25.